Image changes when viewed from different angles. 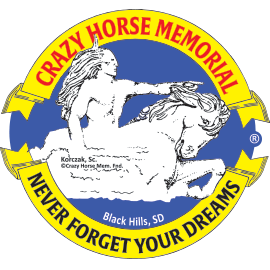 View the Mountain at Crazy Horse Memorial® in the summertime and then move the notebook to a slightly different angle to view the Mountain in a beautiful wintery setting. Measures 3 1/2" x 5 1/2". Made in the U.S.A.